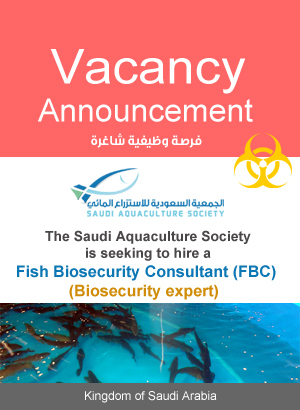 SAS works on forming a society competent with Aquaculture in KSA combines the best elites working in field of Aquaculture Industry whether they are individuals or Institutions. SAS hereby everyone fulfills the membership's conditions determined by it for joining to the Society after completing all necessary procedures through the registration in any of the three membership categories shown herein below. Such membership categories begin from the beginning of the financial year determined by the Society and end by the expiry thereof. The owner, investor or the authorized manager in the companies or institutions that work in producing, manufacturing or marketing the products related to the field of Aquaculture Industry. Experts working in field of Aquaculture from those affiliated to the educational and researching authorities, their experience is not less than ten years and hold university certificates at least. 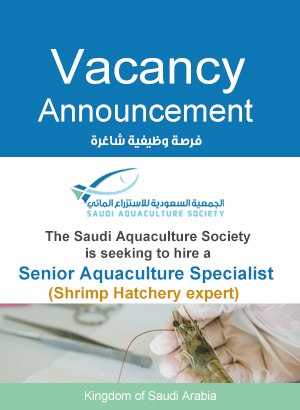 All individuals and authorities interested in Aquaculture Industry from the Saudis and Non-Saudis. The related offices, companies and institutions licensed to practice the activities related to Aquaculture Industry. the honorary membership of SAS is granted by SAS board of directors to companies and institutions submitted distinguished material and moral participations contributed in supporting SAS's Goals and also to the individuals who had distinguished achievements in field of Aquaculture and have effect on industry and community. The membership applicant shall affiliate to any of the above mentioned categories. Filling the membership application form and attaching the documents required in the form and a photograph image 5x5 with white background. Paying the annual subscription fees according to the account data in the form. The honorary member shall be exempted from the subscription fees. The resolution of accepting the membership shall be issued by the board of directors and the general secretariat.